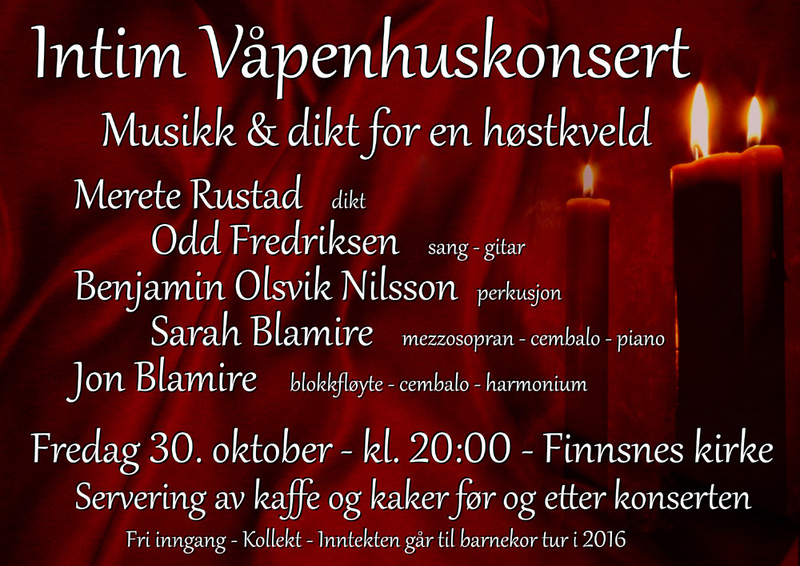 Tomorrow (Friday 30th October) we are holding another one of our Intim Våpenhus concerts (literally an intimate concert in the entrance hall). Merete Rustad – poetry reading. Odd Fredriksen – a well known local guitarist and singer / songwriter, who is also our faithful church band guitarist too. Benjamin Olsvik Nilsson – an in-demand local drummer and percussionist, who is also our church drummer. Sarah Blamire – vocals, piano, harmonium and harpsichord. Jon Blamire – Piano, harmonium and recorder. The concert is free, and early arrival is recommended, unless you want to stand in the coridoor (as opposed to the entrance hall)! Parents from our children and youth choirs are serving coffee and cake before and after the concert. There will be an opportunity to give a gift to the choir tour fund. Continuing the walking theme back in September, we had another very pleasant walk up Tortenli on the east side of Senja. The first half of the route follows the ski track which I often use in winter, but then the path cuts up to a hill top through the woods. The view from the top takes in Gisundet (the sea seperating Senja from the mainland), with Kistefjell in the background. 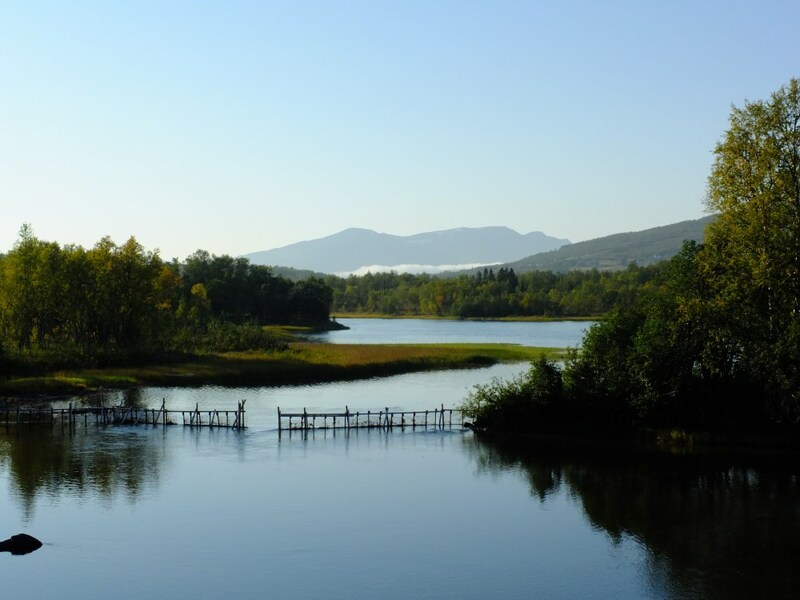 To the north is Gibostad and in the far distance are the mountains around Tromsø. It was a beautiful sunny autumn day with the only sound for most of the journey being the sheep bells. There is a 360 degree interactive panorama here. September continued with sunny autumnal weather, and we used a free couple of hours before a service at Rossfjord old peoples home for a walk up Kvitfløya, a ‘vantage point’ above Rossfjord church (300m / 1000′). The colours were beautiful, although suprisingly difficult to fully capture with a camera. 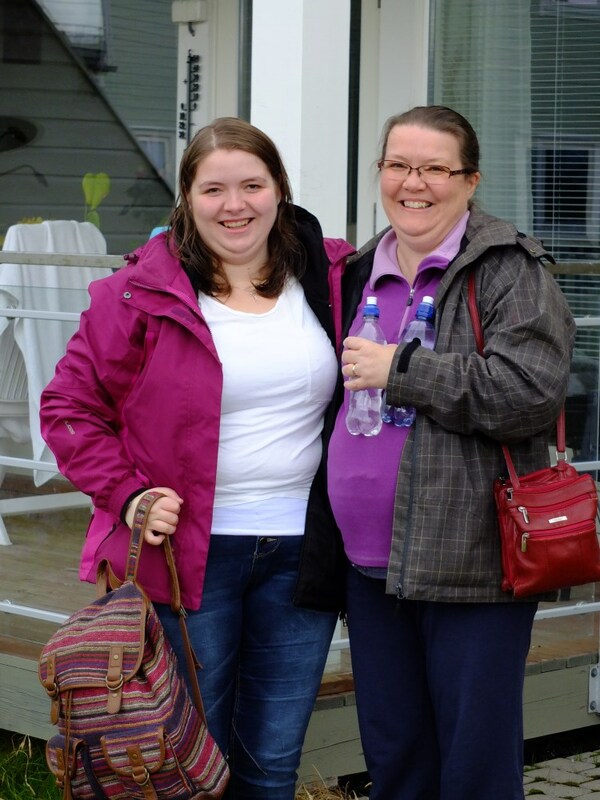 The second Sunday in September included a trip to Husøy on the north of Senja for a morning service. About 3/4 of the outward journey was in the most amazing low cloud / sea fog. There was literally no horizon as the flat calm sea and lakes merged completely seamlessly into the fog. On the final leg of the journey, the road rises. Once clear of the clouds it was a beautiful sunny day. On the way back I stop to snap a couple of the wayside attractions put in place for the Arctic Race – a bit like the Tour de France, but colder – which swept through a few weeks ago. Having seen Susanna off to England, we had to find something to do. The answer: go walking together. Our first walk was up Rubbestadfjellet on the south coast of Senja. It’s 433m / 1420′, with a large transmitter on the top. 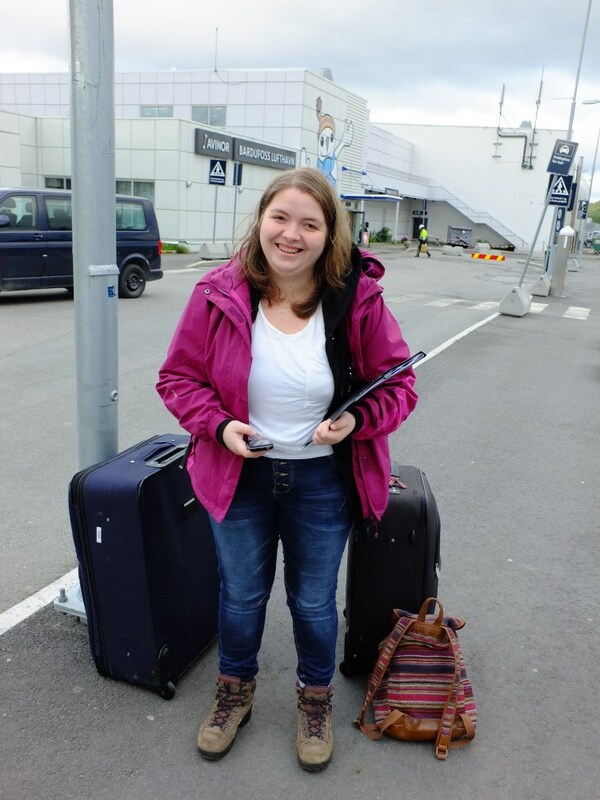 Susanna has begun her studies at Birmingham Conservatoire (England). She flew out early in September and is enjoying the student life. She also achieved her main goal in life: to move from her parents before they moved from her (a reference to the fate of her big sisters). Here she is with her bereft mother . . . So now we are, as one of our retired clergy commented, in English, “Back to basics”. We have a spare room if anyone is interested . . .